Trend Miner was built by Corporate Renaissance Group (CRGroup), a member of the Microsoft Partner Network and leading provider of business solutions consulting and technology solutions. 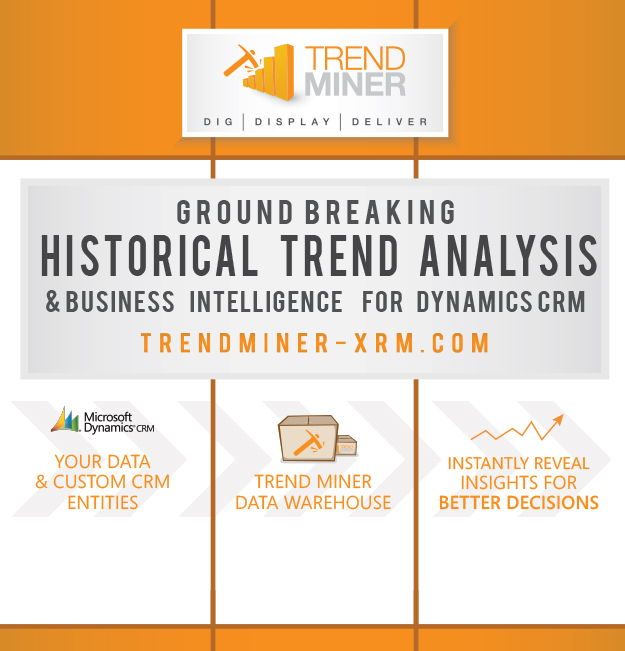 Developed using CRGroup's expertise in Dynamics CRM and 25 years of software development experience, Trend Miner offers ground-breaking functionality to transform how organizations display and use their CRM data. Trend Miner helps Dynamics CRM users extract valuable insight from their CRM data to facilitate business decision making.